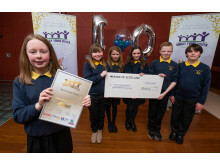 AWARDS have been given to young people in Moray to celebrate their achievements in and out of the classroom. 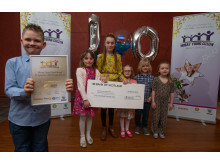 Moray Young Citizen Awards, supported by Moray Council, Diageo, Police Scotland and Elgin Rotary Club, took place on Friday evening, showcasing more than a dozen finalists across various categories. 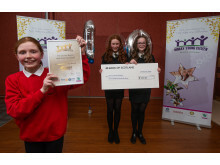 The awards were presented by Moray Council’s Head of Schools and Curriculum Development, Vivienne Cross, who said the stories behind the finalists were “inspirational”. “I had the privilege of presenting the awards for groups and individuals nominated by their schools and community leaders. The number of nominations has grown, which is great, and I was thrilled to see more community nominations, which really shows we’re united in identifying and showcasing young people’s efforts. The finalists were congratulated for their efforts, which included achievements in fundraising and awareness raising for charities; community and school participation; voluntary work; ambassadorial roles and other extra-curricular activities. Convener of Moray Council, Cllr Shona Morrison attended the evening and congratulated all finalists, praising Aidan Henderson from Elgin Academy for receiving for the top accolade of the evening. “When I read through the list of achievements, individually and collectively, carried out by the young people I was blown away. That despite their busy lives, young people in Moray are prioritising the needs of their local, national and global communities through inter-generational work, fundraising, resilience building and empowerment. What they are doing is truly transformational for those people whose lives they touch. 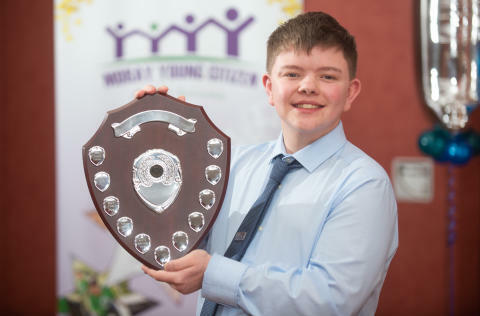 “Moray’s Young Citizen, Aidan, is a remarkable young man; he was nominated by community partners, as well as his school, for a wide range of community and school initiatives. He’s a credit to his community and to Moray. Highly Commended: Cassie Findlay, Keith Grammar School; Stuart Garden, Lossiemouth High School. Commended: Nathan Anderson, Elgin Academy; Hannah Ross, Speyside High; Cameron Stewart, Forres Academy; Corey Rizza, Speyside High.